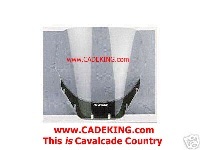 Conditions of Use : Welcome to the Cade King!, This is Cavalcade Country! YOU MUST BE 18 YEARS OLD OR OLDER IN ORDER TO PARTICIPATE ON OUR SITE. Acceptance of Agreement. You agree to the terms and conditions outlined in this Terms and Conditions of use Agreement ("Agreement") with respect to our site (www.cadecountry.com"). This Agreement constitutes the entire and only agreement between us and you, and supersedes all prior or contemporaneous agreements, representations, warranties and understandings with respect to the Site, the content, products or services provided by or through the Site, and the subject matter of this Agreement. This Agreement may be amended by us at any time and from time to time without specific notice to you. The latest Agreement will be posted on the Site, and you should review this Agreement prior to using the Site. Fraud: By becoming a member, you confirm that the information provided in this form is true and that you agree to abide by the Terms and Conditions of use of this site. Please note that your membership can be canceled without notice if it is determined that false or misleading information has been provided, the Terms and Conditions of use have been violated, or other abuses have occurred as determined by CADECOUNTRY in its sole discretion. If membership has been revoked, CADECOUNTRY reserves the right to refuse application or readmission to the membership program. Return Policy. Due to the nature of our online site, and the products listed, we at CADECOUNTRY have a strict LIMITED RETURN policy for any product. No product shall be able to be returned without first contacting CADECOUNTRY for return procedures. Procedures may vary and will be dictated soley by CADECOUNTRY depending on items in question. If an item is returned to CADECOUNTRY or it's vendors without pre-authorization, item(s) will be returned back to the buyer in the condition it is received. Shipping and Handling cost may also be charged back to the customer.There may also be a re-stocking fee of 15% and will also be determined by CADECOUNTRY depending on situation. If arrangements are made for returns, items MUST be returned in satisfactory condition in their entirety within 7 days of arrangements. If any items were sent to the customer in good faith without charge as replacements and customer has not returned original items back to us, we reserve the right to charge back the customer for any replacements, costs including shipping and restocking fees, etc. Venue; Applicable Law. YOU AGREE THAT ALL ACTIONS OR PROCEEDINGS ARISING DIRECTLY OR INDIRECTLY OUT OF THIS AGREEMENT, OR YOUR USE OF THE SITE OR ANY SAMPLES OR PRODUCTS OBTAINED BY YOU THROUGH SUCH USE, SHALL BE LITIGATED IN THE CIRCUIT COURT OF “GRADY COUNTY”, “OKLAHOMA” OR THE UNITED STATES DISTRICT COURT FOR THE DISTRICT OF “OKLAHOMA” . YOU ARE EXPRESSLY SUBMITTING AND CONSENTING IN ADVANCE TO SUCH JURISDICTION IN ANY ACTION OR PROCEEDING IN ANY OF SUCH COURTS, AND ARE WAIVING ANY CLAIM THAT “TUTTLE” , “OKLAHOMA” OR THE DISTRICT OF “TUTTLE, OKLAHOMA” IS AN INCONVENIENT FORUM OR AN IMPROPER FORUM BASED ON LACK OF VENUE. This site is created and controlled by CADECOUNTRY, a wholly owned subsidiary of Allen King in the State of Oklahoma, USA. As such, the laws of “Oklahoma” will govern the terms and conditions contained in this Agreement and elsewhere throughout the Site, without giving effect to any principles of conflicts of laws. Lapsed Accounts: In order to keep CADECOUNTRY membership roster current, if a Member does not access his or her account for a period of 360 days or more, CADECOUNTRY may, in its sole discretion, terminate such Member's account. CADECOUNTRY will endeavor to notify a Member of CADECOUNTRY intent to terminate such Member's account by notice to such Member's provided email address at least “4 days prior to deactivation. If the Member fails to respond to such email notice with “7” days after the day it is sent by CADECOUNTRY, such Member's account will be terminated as noted above. Therefore, CADECOUNTRY strongly recommends that all Members keep their accounts and contact data current and in use. While CADECOUNTRY desires to prevent active accounts from being terminated prematurely, CADECOUNTRY has no obligation to maintain accounts that appear to CADECOUNTRY to have been abandoned. Each Member agrees that failure to access his or her account for 365 days or more conclusively indicates that such Member's account has been abandoned and that the account may therefore be terminated. Verify Members' Address: CADECOUNTRY reserves the right to contact a Member via email to verify the accuracy of account information (including the Member's correct name and address) that is needed to provide the Member with the information he or she requested from CADECOUNTRY.